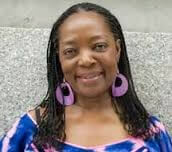 Betty J. Dopson is an administrator, organizer and cultural activist. Having worked at Sydenham Hospital, she received her Bachelor’s Degree in Communications Arts and Sciences from Queens College and became the Director of Public Relations at Harlem Hospital Center, where she served for 15 years. During her tenure, she established “Harlem Hospital Babies Day,” published the hospital’s newspaper, Centerview, recorded oral histories from the medical staff for The Schomburg Center for Research in Black Culture, and produced and hosted the cable TV program “Your Health is Your Responsibility.” She went on to work as the director of SQPA, NY Beacon School that offered classes such as GED Prep, computer training, ESL, and recreational programming. Dopson is the co-founder and co-chair of CEMOTAP, Committee to Eliminate Media Offensive to African People, a 27 year old watch organization created to monitor and confront offensive electronic and print media. She is also is a founding member and co-chair of the Board for the Education of People of African Ancestry; a member of the Women’s Fellowship of St. Albans Congregational Church; The Sisterhood; The Imani Group and is a former board member of WBAI, a progressive FM radio station in New York City. 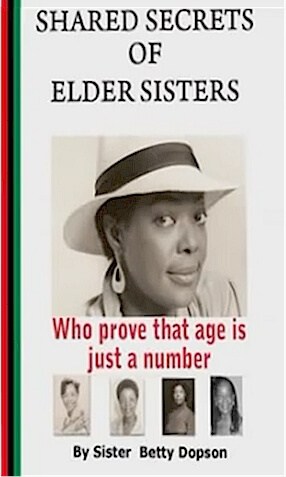 Dopson has written the popular book Shared Secrets of Elder Sisters, which was mounted as a play by the Queens Black Spectrum Theater that she currently performs as a one-woman show. Tell us how much you like Betty J. Dopson.